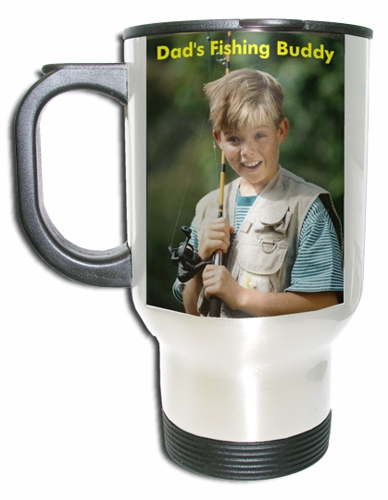 Transfer colorful images to this white, stainless steel travel mug. Features a 14oz. capacity and easy-grip handle with thumb rest. Tapered bottom fits in standard cup holder. Lid has slide opening and slanted drinking surface.